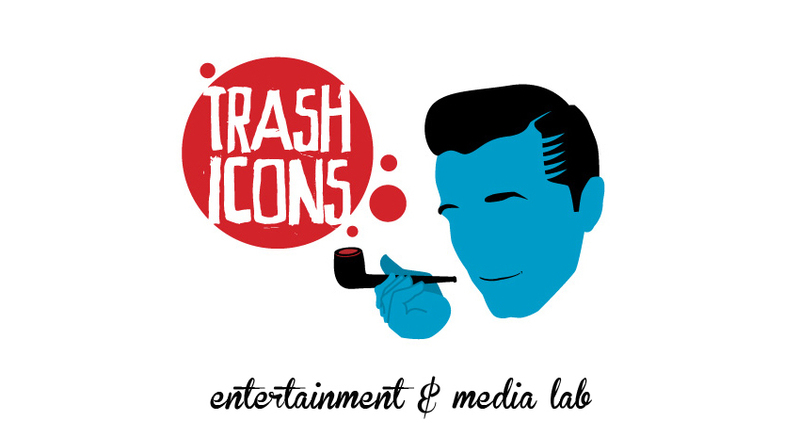 Trash Icons is an entertainment website and transmedia publishing company founded in 2010 in Barcelona, Spain. We offer a fresh way to raise funds for charities and social organizations. We currently have staff members and project developers located in New York, Berlin and Vienna. Trash Icons is a brand of Original Icons Unlimited LLC. 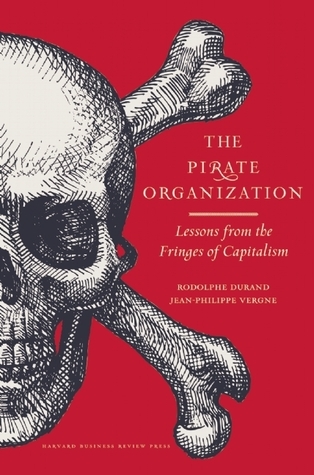 What are the main points behind The Pirate Organization: Lessons from the Fringes of Capitalism book? How did you and Rodolphe Durand and you come up with the idea? Back in 2005, at a time when I was reading a lot about cyber-piracy, I visited the Scheepvaart Museum in Amsterdam (Maritime Museum), which featured an exhibition about sea piracy in the 17th century. And I began to realize there were many connections between these two historically distant forms of piracy. So I asked myself: why do we use the same term, “piracy”, to describe sea robbers in the modern age and some hackers nowadays in cyberspace? What do they have in common? A few years later, Rodolphe and I were talking about the history of capitalism from the perspective of Gilles Deleuze’s philosophy. We had similar views in many respects – in particular, we both believed that Deleuze (and Guattari) did a great job at theorizing capitalism, except that we felt that their story would benefit a lot from looking at an additional level of analysis – the organizational level. We were unsatisfied with the idea that capitalism was just about individual desires and the State. In between the two, there are many different types of organizations that channel human agency. In a way, the bureaucratic organization (in the Weberian sense) can be seen as the mother of all capitalist technologies. Pirates, in particular, are not lone wolves but belong to organizations that are sometimes powerful enough to change the course of history by making visible the inherent contradictions of the capitalist State. In fact, we realized that piracy was key in explaining many aspects of capitalism’s evolution that economists hadn’t addressed at all. We decided to join forces and write a book together in 2010. It first came out in French under the title L’Organisation Pirate. There’s always been a tight relationship between piracy and capitalism? How do they interact with each other? What’s the difference between corsairs and pirates? Could you give us an example of both of them in our current times? Pirates contest the State’s attempt to gain exclusive control over uncharted territory. For example, cyber pirates fight the governments that consider cyberspace to be a sovereign territory that should be surrounded by electronic filters and firewalls. For cyber pirates, there shouldn’t be such a thing as a Chinese cyberspace and a US cyberspace, subject to different sets of rules. Instead, the entire cyberspace should be akin to “international waters”, where the freedom of the seas prevails and no one enjoys particular privileges. In other words, pirates believe in the existence of supra-national rules that should apply equally to everyone (think of organizations such as Wikileaks or Anonymous). Corsairs, on the other hand, are hired by a particular state to further its strategic objectives. The Honker Union in China, which conducts cyberwar on behalf of the central government, the Russian nationalists from Nashi, who attacked the cyber-infrastructures of Estonia in 2007, or the Syrian Electronic Army, which defend Bashar Al-Assad’s regime in cyberspace, are recent examples of cyber-corsair organizations. However, while pirate and corsair organizations are relatively stable, individual memberships within them are not. Many people previously affiliated with a pirate organization end up hired as corsairs, and vice versa. Think of Jeff Moss, the founder of the two largest hacker conferences (Def Con and Black Hat). After an early career as a pirate, he became Obama’s advisor for cybersecurity issues, and in 2012, he invited NSA director Keith Alexander to give a keynote speech at the Def Con conference. Alexander essentially showed up at Def Con to offer cyber-pirates a job as cyber-corsairs on the payroll of the US government. In a way, people like Jeff Moss remind us of modern-age heroes such as Francis Drake, the most famous pirate of the 16th century, who ended up working as a privateer (=corsair) for the British Queen. You have stated that piracy operates on the fringes, and from there comes innovation. Can you tell us a couple of specific cases where non-conformism has helped with Capitalism’s evolution? Free radio broadcasting as we’ve known it over the last 30-40 years used to be called pirate radio broadcasting. In 1967, in the UK, pirate radio won the battle and took down the BBC’s monopoly, paving the way for a free radio broadcasting industry not censored anymore by the State. Adrian Johns wonderfully explained that story in the book Death of a Pirate. Sea pirates in the modern age opened up new trade routes and changed the rules of the game in the shipping industry, for instance by working collaboratively and by allowing women on board their ships. In cyberspace, the diffusion of certain standards, from mp3 to free software, has a lot to do with pirates’ actions. How does a pirate organization behave, contrary to a “legit” one? Pirate organizations share three important features. First, they contest monopolies that the State allows to thrive (e.g, the East India Companies in the 17th century). Second, they seek to establish alternative rules of the game (e.g., free software today in cyberspace). Third, they typically defend, at a supranational level, the principles of openness and transparency, and they emphasize the existence of common goods (think of the freedom of the high seas, uncensored radio broadcasting, or Net neutrality). Pirate organizations, while often considered illegal, typically receive a lot of support from the broader civil society. In other words, pirate organizations are legitimate yet illegal organizations (unlike traditional criminal organizations, which are both illegal and illegitimate). Is there any way to beat the Pirate Organizations or is it a battle already lost and the best solution for their enemies is to learn from them? The pirate organization is bound to disappear. It cannot win unless it becomes monopolistic, in which case it ceases to be piratical. But the pirate organization only disappears when the principles that it defends have diffused throughout the social fabric. It is an organization with a mission. When the mission is accomplished, the organization disbands as it becomes pointless. Learning from pirates is essential for businesses operating at the vanguard of the capitalist economy. In the home entertainment industry, clearly, some organizations have learned faster than others (compare YouTube and Netflix to the major studios represented by the Motion Picture Association of America). Where does piracy end and free content start? Can a line be drawn? Piracy is not as much about free content as it is about un-monopolized distribution channels. Piracy is all about territory, so the means of distribution – the transportation modes if you wish – matter a lot more than what is being transported. In that sense, the pirate organization is a-moral. This is precisely why government policies that aim at censoring certain types of online content (e.g., from gambling to Satanism) completely miss the point. To accompany the Pirate Organization book, music and a short animation were also released. Can you tell us about this supporting content? Rodolphe and I followed our instincts! We see The Pirate Organization as an interdisciplinary project without fixed boundaries. It started as a narrow academic discussion, turned into a broad essay in the social sciences, then it became a book, then a song composed by rock band Chevreuil and published in creative commons to facilitate remixing. Then we made an animated documentary about the project, directed by Daniel Wyatt, in which we re-use the Chevreuil song and some of its remixes together with excerpts from the book (note: this documentary is subtitled in 12 languages, including Spanish). That book, in the meanwhile, was entirely rewritten based on our French readers’ feedback, and published in English at Harvard Business Review Press (2013). Over the last few months, we have turned the book into a course to be taught at HEC Paris and Ivey Business School. These days, we are developing a few research papers out the book, building an online community around the Twitter account @PirateOrg, submitting the short movie to film festivals around the world, and we are working on a feature length documentary project that we are in the middle of proposing to a couple of TV channels. We are not in the business of selling books, we are in the business of diffusing ideas. That makes a huge difference in terms of what we can do to reach out to our audience. What role do you think the State must take in order to fix this current global economic crisis? At least in the European Union, the failure to address the crisis within a reasonable amount of time comes from a blatant lack of cooperation and integration across countries. Thus, the crisis is also political, and the solution to it will probably not be found by examining the situation through the lens of the traditional Left/Right political paradigm. But there are few viable alternatives… Some hope that the Pirate Parties will come up with something new. So far, I personally have been quite disappointed by their political platform. For instance, on the key issue of state regulation, Pirate Parties are confronted with a huge internal contradiction. On the one hand, they have many of their members coming from the Left that ask for a stricter state regulation, say, of the finance and banking sectors (all the more so in the aftermath of the financial crisis). But on the other hand, they keep repeating that cyberspace and its related industries should be free of state influence and regulation. At a conceptual level, it is hard to understand how you can tell the state “we need more regulation” and at the same time “we don’t want any regulation”. A political party that doesn’t have a robust theory of state regulation will find it difficult to gather support from a significant portion of the population. In the book, we are trying to outline such a theory by distinguishing charted from uncharted territory, and explaining why the two should be treated differently by the State. But we still have a lot of work ahead of us if we want to come up with something solid! How do you see the status quo of Capitalism in the future (from 5 to 10 years from now) if the governments still behave and act like they do nowadays? I am not Nate Silver, so you shouldn’t trust my predictions! OK, I can try a few random ones, but just for fun… China and the US are likely to engage in a long struggle to define the rules of cyberspace exploitation and outer space exploration. Some of the major tech firms (e.g., Google) will start to compete against defense contractors (e.g., Lockheed Martin, Northrop Grumman, SAIC) for major government programs. In the meanwhile, pressing issues such as global warming are likely to be pushed to the background (unfortunately) as the major powers keep playing geopolitics as a zero-sum game. The democratization of 3D-printing (both for industrial artefacts and biological organisms) will pose new challenges to governments and to corporations – some of them will actually lose their control over the manufacturing process in the next 10 years. Because of that, the “pirate threat” will diffuse to new sectors of the economy beyond the so-called “creative industries” (e.g., music, film, software). The patent wars will keep raging amidst a massive restructuring of industry value chains. Soon, speaking computer code as a second language will become more valuable than English proficiency on the international job market. Alright, that’s it for now! © by Original Icons Unlimited LLC. . Simple theme. Powered by Blogger.